Some call it the ultimate biohack. Blood flow restriction (BFR) is a training technique that involves using a cuff, wrap, or tourniquet to trap blood in a certain muscle. It acts like a floodgate, allowing the blood to flow in, but not out. For example, you could wrap a cuff around the top of each quad while you do squats or around the tops of your arms during bicep curls. Theoretically, people use BFR to get more results from their training sessions. Even major organizations like NASA have turned to it to help astronauts retain muscle mass in zero-gravity conditions. But it’s a precise science, and there’s lots of room for error. Here, Equinox experts weigh the pros and cons of BFR training and explain how you can safely work it into your routine. 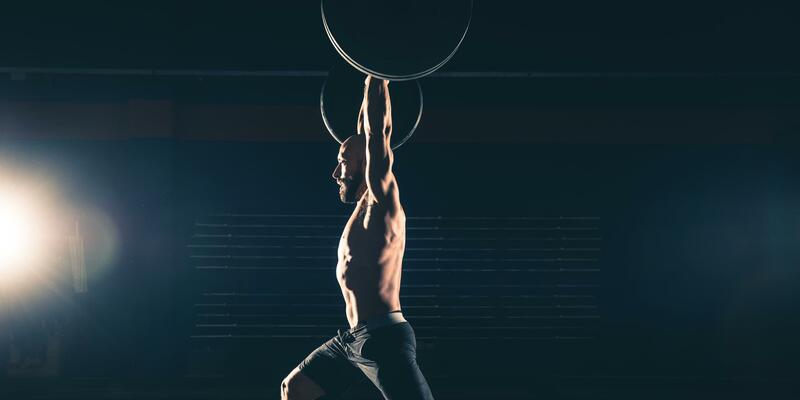 BFR training builds strength because when blood pools in the muscles, it causes a buildup of metabolites, says Joseph Meares, a Tier X coach at the St. James location of E by Equinox in London. Paired with cell swelling and the release of oxygen back into the cells when you remove the cuff, this can promote the protein synthesis needed for muscle growth, he explains. The technique can also help post-injury. Say you have a tear in your bicep tendon. Limiting circulation near those soft tissues can help you regain muscle mass without going heavy, Meares says. Because the cuff is sending blood to the biceps, you can lift lighter weights and still get the protein synthesis and muscle growth you might get if you were lifting heavier weights without the cuff. Meares suggests you could use the strategy to fatigue your muscles every other day after your regular strength routine. For example, at the end of your leg workout, secure the cuffs around the tops of your thighs and do one or two exercises (like squats, leg presses, or leg extensions) at 20 to 50 percent of your one-rep max as a finisher. Do 3 to 4 sets of 20 reps. The only way to really regulate the pressure of a BFR cuff is by using a unit with a built-in doppler ultrasound, which restricts a certain amount of blood flow while you train. If you do use a resistance band or something similar, don’t tighten it like a doctor would to find a vein. On a scale of one to 10, it should be about a six or seven—anything tighter can have a negative effect on muscle growth and divert blood flow from the heart, Meares says. Alex Zimmerman, CSCS, director of the Tier X program at Equinox, notes that even people who know what they’re doing in the gym should proceed with caution. Using a tourniquet, which the FDA categorizes as a medical device, requires an advanced understanding of how the tool impacts blood flow, muscles, nerves, veins, arteries, and the cardiovascular system at large. There’s no doubt that BFR can help athletes bounce back from injury. Plus, the pressure it puts on the muscles can lead to a greater demand on the heart, building its resilience and increasing cardiac output. But using a DIY cuff (like a resistance band) is dangerous because you can’t accurately measure the pressure. “This is like trying to train wattage on a bike that doesn’t measure watts,” he says. Zimmerman even warns against using a cuff specifically designed for this intended purpose unless you’re getting guidance from someone who has a strong understanding of how it works. ”Without proper training, this tool can be dangerous,” he says. In short, he insists there’s no replacement for consistent workouts, good nutrition, and adequate recovery. “People who are trying to get a competitive advantage and not doing the work are often fooling themselves into thinking any given aid is making the difference,” he says. That said, if you’re already doing everything that’s asked of you both in and out of the gym, you could gain a slight competitive advantage with BFR.